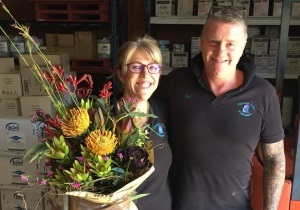 "We are the answer to all your packaging & cleaning needs"
We are located at 135a Prince St, Grafton, our hours are 8.30am - 4.00pm Monday to Friday. 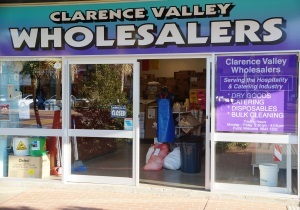 Clarence Valley Wholesalers is an Australian owned (Paul & Jenny) & operated company based in Grafton, northern NSW and has been in operation for over 25 years. We service north to Yamba & south to Nambucca Heads. We also freight goods further afield via courier. Only quality products are sold at competitive pricing. If we don't stock what you need, give us a call and we will find it for you. 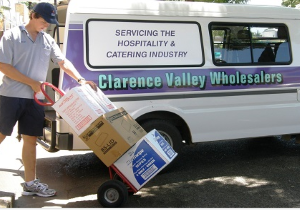 With the experience and service on offer, Clarence Valley Wholesalers is the answer to all your packaging & cleaning needs! *Centre Feed - won’t unravel everywhere!